JCR Racers claim 3 – podium finishes. 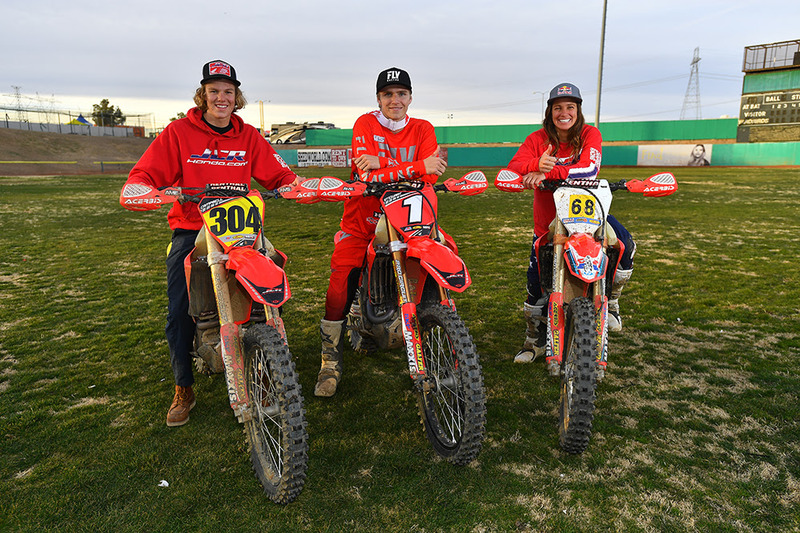 1 in each of the Pro classes at the opening round of the 2019 AMA NGPC season. Perfect weather and track conditions alongside enormous crowds of well over 7500 enthusiastic race fan’s lining the famous AGP racecourse made for an electric atmosphere. Combine all that with over 2100 racer entries, live bands, industry vendors, RC car races and other spectacles make it quite the memorable event. The AGP race course utilizing the Baseball stadium, city streets, open desert, mixed with the famous water-hole jump totaling an 8.5-mile track. 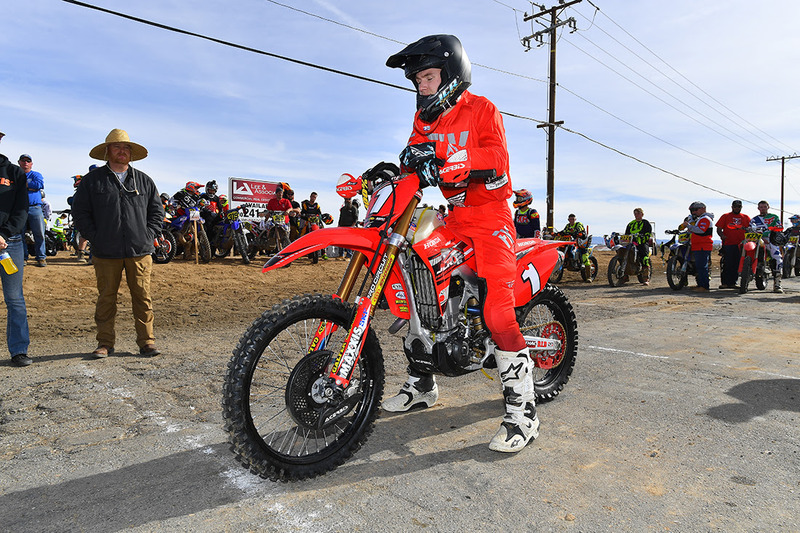 The Premier Pro race held on Sunday afternoon was a heater for the overall as JCR’s Trevor Stewart and his CRF450RX did battle down to the wire in the 1.5hour Off-Road race. Trevor started strong in second place. He gained the lead by the end of lap one and retained the lead through the planned refueling stop at the halfway point. With two laps to go, Trevor had to take an off-course excursion to avoid tangling with a lapper, opening the door to his competition, falling back to second at that point. Trevor gathered himself regained the lead at one point, but it wasn’t enough as the race came to a close on the final lap just one wheel from the win. In the Pro 2 class, Preston Campbell had a good race coming from behind, he worked hard and thanks to the speed of his pit crew, made 3 positions in the pits at the midpoint. This boosted Preston to a podium spot, taking 3rd place in the highly competitive Pro 2 class aboard his CRF250RX. JCR’s 3rd and final podium came with a strong effort by Tarah Gieger, aboard her CRF250RX in the women’s Pro Class by posting a 2nd overall respectively.